Check out this D23 Expo commemorative poster with art by Drew Struzan. 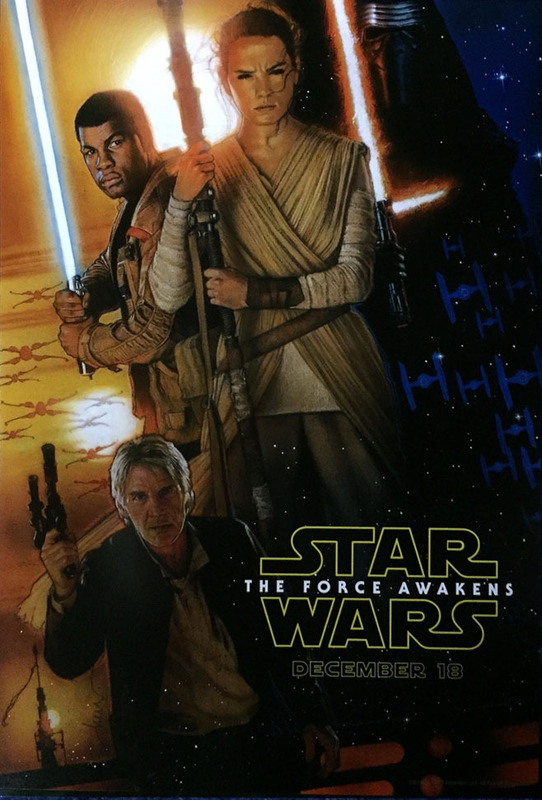 Contrary to posts floating around the internet, this IS NOT the official poster for Star Wars: The Force Awakens. Check out this analysis of the poster at SlashFilm: 5 Things To Notice In Drew Struzan’s Star Wars: The Force Awakens Poster.